First started in college, but recently finished (yes, I am one of those people capable of ruthlessly putting off the last third of a book for 2+ years--I first picked this up during my junior year). All delays aside, however, this is hands down the most excellent in-one-book presentation of a Reformed history, doctrine, and vision for our times that I have ever read. It is comprehensive yet nuanced, both insightful and authentic; biblical, yet socially conscious and culturally aware--and very well written. A good summary of the book can be found in the Introduction:"Reformed Christianity has not yet reached its full potential for biblical maturity. Much needs to be corrected. I still think it tends towards intellectualism. It could use more aesthetics. It has much to learn from other branches of the worldwide communion of Christians. But still, it is profoundly biblical. It is arguably the most consistent expression of evangelical faith. It is surprisingly diverse. It begins and ends with the glory of God, placing him at the center of all things" (9). This book is a really solid overview of the history and theology of the Reformed tradition. This is a good read for anyone interested in understanding the history and basics of the reformed faith. Helpful overview of the reformed tradition but generally left me with more questions than answers. Perhaps that was the point. A very good introductory book on theology. The subtitle is, "Commending the Reformed Faith." Dr. Edgar is a professor of Apologetics at Westminster Theological Seminary, in Glenside, PA.
William Edgar - William Edgar (DTheol, University of Geneva) is professor of apologetics and coordinator of the apologetics department at Westminster Theological Seminary. 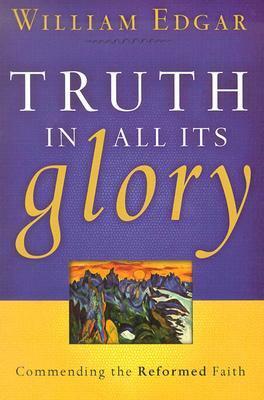 His books include Reasons of the Heart, The Face of Truth, and Truth in All Its Glory.